New Delhi, April 16: The CBI was Tuesday directed by the Supreme Court to file its current status report by April 24 about the probe into the 2017 Staff Selection Commission (SSC) exam paper leak. A bench of Justices S A Bobde and S A Nazeer said the probe agency will file the status report with the apex court registry, and posted the matter for hearing on May 6. SSC 2019 Exam Paper Leak: Three Class 10 Board Question Papers Leaked in Maharashtra, Probe Underway. "Having heard counsel appearing for the parties, we direct that the CBI shall file current status report on or before April 24 in the registry of this court. The registry is directed to serve the copy the said status report to the parties thereafter," the bench said. The court also granted liberty to the petitioner to file a reply to the latest status report of the CBI. The SSC is a government body which conducts exams to recruit staff at multiple levels in various ministries and departments. The apex court is hearing a plea which has sought probe into the alleged paper leak of the 2017 SSC Combined Graduate Level (CGL) exam and scrapping of the paper which was purportedly leaked. During the brief hearing on Tuesday, advocate Prashant Bhushan, appearing for the petitioner, told the bench that the court had last time asked CBI to apprise it on the status of probe in the case. To this, the CBI's counsel said the agency had earlier filed status report in the matter thrice. The apex court on April 1 had allowed SSC to declare result of a re-examination of 2017 SSC CGL held last year. It had also set up a high powered committee comprising Nandan Nilekani, a co-founder of tech giant Infosys, and renowned computer scientist Vijay P Bhatkar to suggest reforms for conducting of competitive examinations fairly by the government bodies. The examination papers of the SSC CGL 2017 were allegedly leaked, leading to huge protests from job seekers for several days. Amid the protests, the SSC had recommended a CBI probe into the allegations of paper leak. 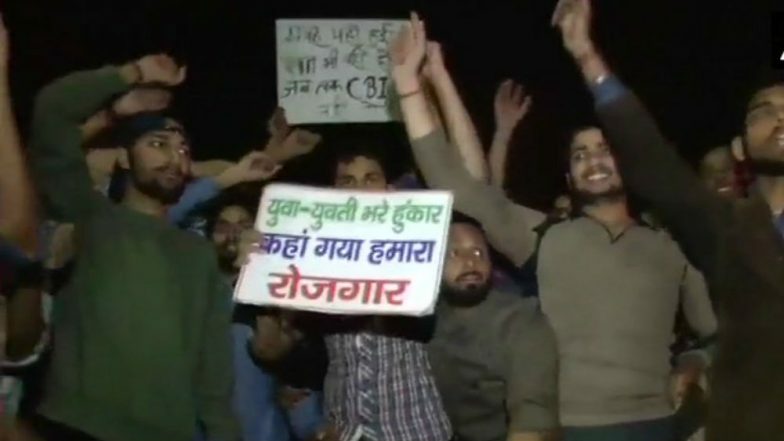 Staff Selection Commission (SSC) Aspirants Demand CBI Probe Into Alleged Paper Leak. On August 31 last year, the apex court had stayed the declaration of result of SSC CGL and combined higher secondary level examination, in which lakhs of students had appeared, saying it seemed that the entire test and system was "tainted". The apex court had then favoured cancelling the 2017 SSC examination, and holding it afresh by National Testing Agency or the CBSE "in the interest of students". However, the Centre had said there was no need for re-examination of entire paper as the leak was "extremely localised" and those behind the leaks were identified and action was taken. Several lakh students appear in SSC examination each year and enter government services in Group C and D Categories of jobs once they qualify. The SSC Combined Graduate Level exam has a four-tier system, in which tier I and tier II are computer-based, while in tier III and IV, job applicants take up a descriptive paper and a computer proficiency test or skill test.